As a result of the need for space to house different internal museum services, in 2004 the galleries on the second floor were taken out of the Permanent Collection route and used as temporary storage space for works of art, offices and the restoration of supports studio. Following the opening of the Jerónimos Cloister extension and the remodelling of the Museum’s restoration studio those departments moved to their new and permanent locations, freeing up the previous gallery spaces. As soon as it became possible the Museum thus scheduled the restoration of these rooms as gallery space, remodelling them and improving their fittings. At the same time the window frames were replaced with a new design by Rafael Moneo, giving the ledges a flared form that integrated them more fully into the building as a whole. The seven new galleries of 17th-century Flemish painting complete the installation in the Museum of one of the finest collections of 15th- to 17th-century Flemish painting in existence, largely based on Spanish royal collecting. Together with Italy, Flanders (modern-day Belgium) was the principal centre for the production of painting in Europe at that period. The new galleries include key works by Rubens, Jan Breughel, Clara Peeters and David Teniers, among other artists. Room 76, which is devoted to Dutch painting, now displays Rembrandt’s Judith at the Banquet of Holofernes and important works by representative artists of that school including Salomon de Bray and Gabriel Metsu. From approximately 1430 to 1650 the area that comprises modern-day Belgium was one of the principal centres for the production of painting in Europe, together with Italy. Art produced in this region is referred to as Flemish. 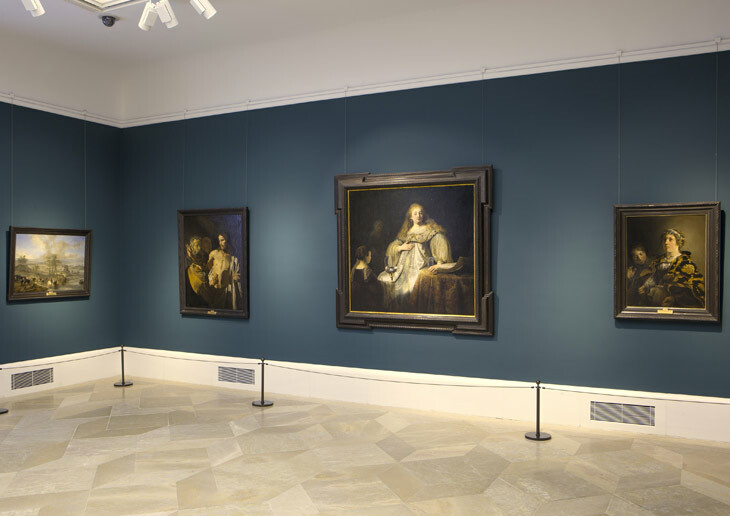 The seven galleries that have now opened to the public on the second floor complete the Museum’s display of 17th-century Flemish painting, most of it produced in Antwerp, complementing the content of the galleries on the lower and first floors. The connections between Flanders and the Spanish Crown, which ruled over it at this period, explain the size and quality of the Prado’s Flemish collections. Two of the new galleries of 17th-century Flemish painting, Rooms 78 and 79, display important works by Rubens (1577-1640), including the mythological works commissioned from him by Philip IV for the Torre de la Parada, as well as some of the artist’s finest small-format paintings. These two galleries complete the installation of Rubens at the Museo del Prado, the largest collection of the artist’s works in existence. The new galleries include a monographic space (Room 83) devoted to Jan Breughel (1568-1625), whose exquisite art combines rich colours and an astonishingly detailed technique. The five paintings from the series on “The Senses” are among his most admired works. David Teniers (1610-1690) is also now the subject of an entire gallery (Room 76). Rooms 81 and 82 display paintings of kitchen scenes and still lifes by Frans Snyders (1579-1657), Clara Peeters (ca. 1588/90-after 1621) and other Flemish artists who enjoyed great success in Antwerp and at the Spanish court, together with paintings of flower garlands. The scenes of animals in Room 81 were an Antwerp speciality which were subsequently imitated in France and elsewhere. Room 80 focuses on landscape painting, a genre that first arose in Antwerp in the 16th century with Joachim Patinir (active 1515-1524), represented at the Museum by a large collection on display on the lower floor. In the 17th century artists such as Joos de Momper (1564-1635), Peeter Snayers (1592-1667) and Jan Breughel among others continued this tradition. 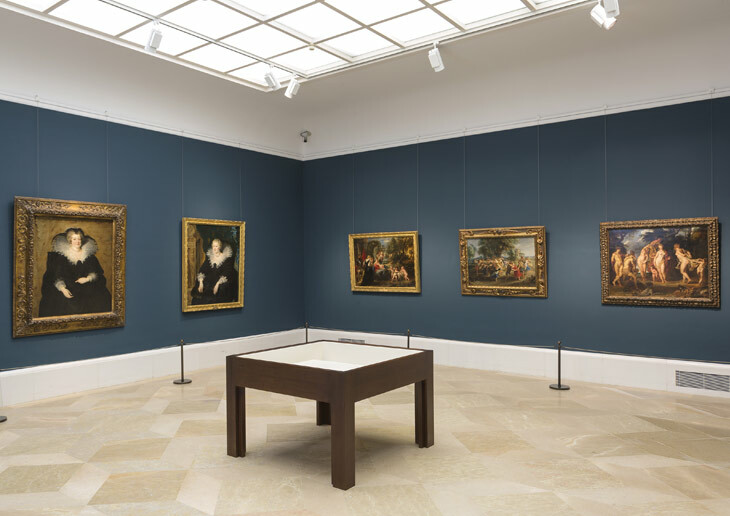 The opening of these new galleries devoted to 17th-century Flemish painting on the Museum’s second floor has also led to the rehang of the works by Rubens, Van Dyck (1599-1641) and Jordaens (1593-1678) on the first floor (both the Central Gallery and Room 16B). Dutch painting can be defined as the art produced in the seven Northern Provinces which became a de facto new sovereign state known as the United Provinces following the signing of the Union of Utrecht in 1579. Amsterdam was the economic motor of this new nation. In their desire to distance themselves from the Southern Low Countries, which remained under Spanish rule, Dutch painters opted to move away from Italian idealism and associate themselves with the northern tradition. As a result their work is imbued with a naturalism and lifelikeness evident in both the treatment of the traditional pictorial genres and the rise of others considered minor ones in Italian art theory, such as landscape, still life and genre painting. For historical reasons the Museo del Prado’s collection of Dutch paintings is smaller than the Flemish one. Nonetheless, and despite some major gaps, it has notably representative works that are now hung in Room 76 in a selection that includes history painting by some of the most important representatives of this school, still lifes, landscapes and genre scenes. The place of honour in this gallery is reserved for Judith at the Banquet of Holofernes by Rembrandt. Displayed alongside it are works by other leading exponents of history painting such as Joachim Wtewael, Salomon de Bray, Matthias Stom and Leonaert Bramer. The genre of still life is represented by one of the masterpieces of the collection, Dead Cockerel, one of the few still lifes now accepted as autograph by Gabriel Metsu. It is shown alongside important works by Pieter Claesz. and Willem Claesz. Heda. Landscapes include notable examples of the most typically Dutch typologies, such as marine views, winter landscapes and the so-called Italianate landscape. This collection, which entered the Museo del Prado in 1839, is now exhibited in its entirety in the so-called “Toro Norte”, located in the central section of the second floor of the North or Goya Wing in the Villanueva Building. 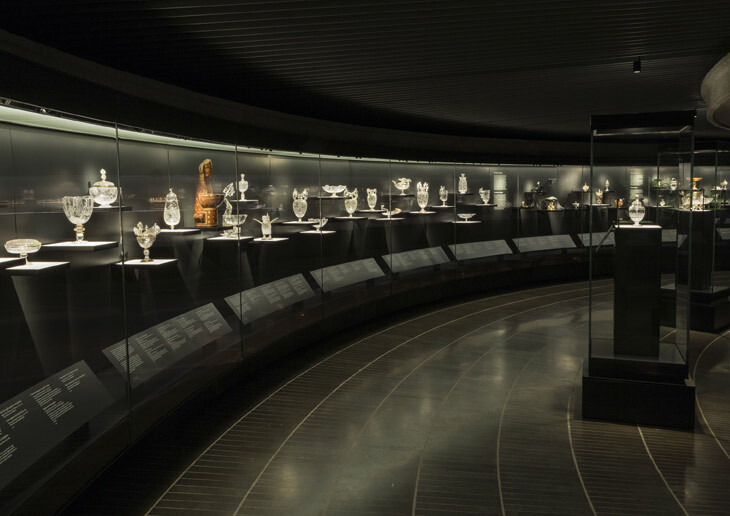 In the 20th century the Treasure was displayed in different parts of the Museum, the last location being a reinforced room in the basement which opened in 1989. This left the Treasure isolated from the rest of the visitor route around the Museum, for which reason it has now been installed on the second floor of the North Wing. The new room is a circular space with a continuous curved case measuring 40 metres long. The room is equipped with the most advanced conservation technology, while the supports for the works and the lighting system have been specially designed to adapt to the specific shape and material of each object. This new installation also offers the most complete vision of the Treasure for more than 200 years. Of the 169 works of which it originally comprised, 144 have survived to the present, all of which are now on display: 122 (one consisting of 13 loose cameos) were already on display at the Museum while 10 more are the components of a lacquer coffee set that was previously on display in the Museo de Ámerica, and a further 14 are the implements in a set for preparing game that was previously in the Museo Arqueológico Nacional. This major project, which has benefited from the academic advice of Letizia Arbeteta, the leading expert on the Treasure, has involved a complete scientific and technical assessment of all the vessels, the restoration of each one of them and a detailed documentary and art-historical study that has given rise to new attributions. 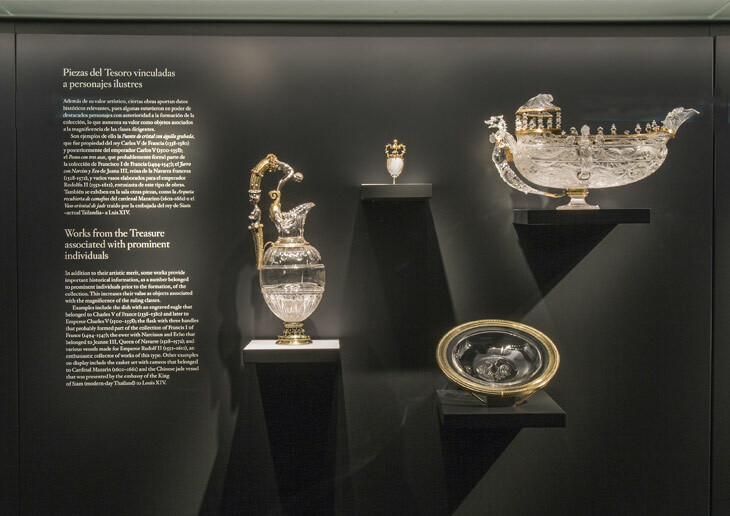 The new installation of the Dauphin’s Treasure has also benefited from the collaboration of Samsung to offer a complete digital and audiovisual experience. Visitors can make use of an interactive app that includes a very large amount of graphic material and text; new photographs of the works, which can be enlarged and moved to show the objects from all sides; and a 3.5-minute audiovisual commentary that tells the story of the Treasure from the time it was assembled by the Grand Dauphin to the present day. 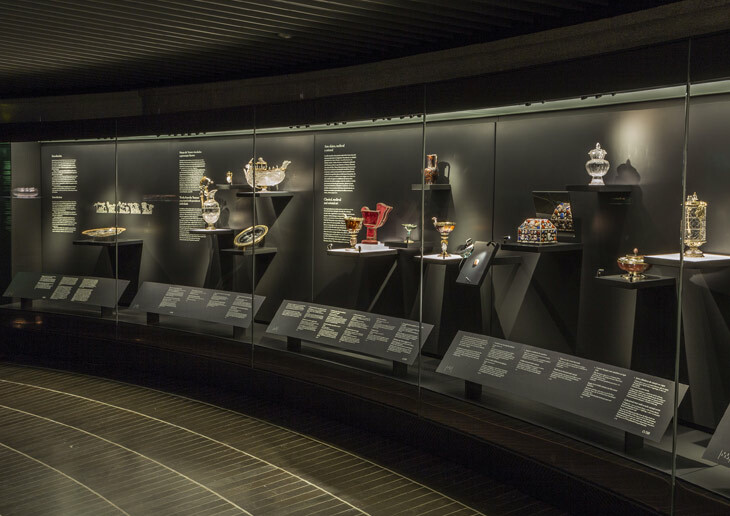 This is the first time the Museum has presented a permanent display in combination with a digital experience, a combination that will undoubtedly facilitate an appreciation and enjoyment of the Treasure in all its splendour. The Dauphin’s Treasure comprises a group of luxury vessels that belonged to Louis, the Grand Dauphin of France (1661-1711), and were inherited after his death by his son Philip V (1683-1746), the first Spanish Bourbon. This is a unique collection in Spain and is comparable to the other great European dynastic treasures in terms of both the quality and intrinsic value and beauty of the objects and its importance as an example of European collecting of the sumptuary arts in the 16th and 17th centuries, offering an image of royal power and prestige. The Treasure comprises a wide variety of objects of different origins and dates. It includes classical and medieval works but the majority were made in the 16th and 17th centuries, many of the latter at the court in Paris. Over time some vessels were altered and on occasions their components were recombined to create other new ones made up of pieces of different dates and geographical origin. The rarity of the materials used for conceptually complex creations of this type and the technical skill in both their making and decoration explains why they were so esteemed in the Renaissance, often above works of art such as paintings and sculptures that are now more highly valued. In the inventory drawn up after the death of Philip II, for example, some rock crystal vessels which could have been similar to those in the Dauphin’s Treasure were given values higher than celebrated paintings by Titian, Sánchez Coello and Bosch. 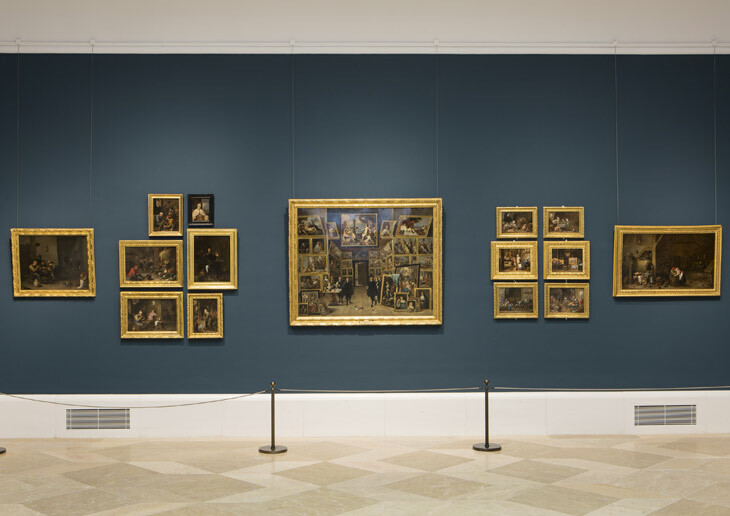 In addition to appreciating this innovative new presentation, visitors will also have the chance to see works on display for the first time at the Museo del Prado which have not been seen in public since the 19th century and which in some cases have partly or wholly recovered their original shape and form.